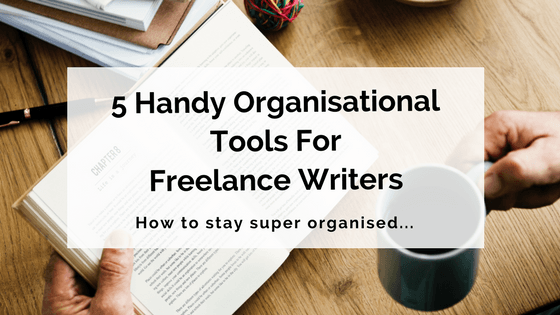 So we've covered professional portfolio sites and invoicing tools – now it's time to take a look at organisational tools for freelance writers! As we've mentioned before, being highly organised is one of the most important supplementary skills for freelance writers. If you're unorganised, you risk missing deadlines, turning over sub-par work, and even losing clients. Being organised is also incredibly important when it comes to your own stress levels and mental health as a freelancer. Having lots of projects to complete and clients to answer to can be overwhelming; staying well-organised can help you keep your head above water. It can also be hard to find freelance writing jobs online. Luckily, there are plenty of readily available organisational tools for freelance writers to give you that extra helping hand. We've put together suggestions in five categories – project management, calendar, to-do list, note-taking and social media management – so read on, and get ready to be more organised than ever! One of the most important organisational tools for freelance writers is a quality project management tool. As a busy freelancer, it's great to have a visual representation of your projects and tasks, and a way to break larger projects down into smaller, more manageable parts. Create tasks and subtasks and organise them into lists, boards, sections and columns. Assign start and due dates to tasks. Add attachments from your computer, Dropbox, OneDrive or Google Drive. Make up project templates you can reuse. Check project progress at a glance with handy dashboards. Share and collaborate with others on projects. Asana's free version allows you to create unlimited tasks and projects, use basic search functions and dashboards, and add up to 15 collaborators. There's also a Premium version for $9.99/month, but this is more directed towards small businesses with multiple team members. The free version should suffice for an individual freelancer. As a busy freelance writer juggling lots of projects and deadlines, it's always good to be able to take an at-a-glance look at the week, month and even year ahead. A calendar is an essential planning tool for scheduling jobs, noting deadlines, and making sure you're not double-booking gigs. While you can do this with a physical calendar, an online calendar is even better, because you can access it whether you're working from home or from a coworking space (or even from your favourite wifi-equipped cafe!). Google Calendar is a free and easy-to-use online calendar, and in our opinion is one of the simplest and most effective organisational tools for freelance writers. Create, edit and schedule events, and invite guests. Create reminders and notifications for deadlines, meetings and other events. Sync with other Google applications, including Gmail. Google Calendar is our favourite kind of tool, because it's totally and completely free! We're of the strong belief that the to-do list is the freelance writer's best friend! There's nothing like a good old-fashioned handwritten list of tasks to help you get through your work. However... Handwritten to-do lists can be easily misplaced, or might not always be on hand when you think of something to add to them. Luckily, it's 2017, so of course there's an app for that! Wunderlist allows you to list all your tasks in the one place and sync them across all your devices for access at any time. Here are a few more of its functions. Create to-do lists and organise into different categories and folders. Set due dates, reminders and notifications for tasks. Sync across iPhone, iPad, Mac, Android, Windows, Kindle Fire and the web. Email tasks directly to the app. Add notes, comments and hashtags to to-dos. Share lists and tasks with others and print directly from the app. All the above features are available in the free version of Wunderlist, so it's a great money-saving option for freelancers. Its only real limitations are on the size of files you can upload (5MB) and the amount of subtasks you can break a larger to-do down into (25). However, if you're after a little more functionality and don't mind paying for it, there's a Pro option available for $4.99/month. It offers unlimited file uploads and subtasks, as well as unlimited assigned tasks if you're using shared lists. Most freelancers are constant note-takers. We're always jotting down ideas, snippets of writing, or details of clients and projects. But it can be hard to keep all your notes together, neatly organised, and accessible whenever you need them. Enter Evernote: a super handy note-taking app that's one of the most useful organisational tools for freelance writers. We think Evernote's website sums up its purpose best: 'Organise your work and declutter your life. Collect everything that matters in one place and find it when you need it, fast.' But let's take a closer look at some of its features and plans. Write notes and clip web pages, images and PDF files. Sync content between your computer, phone and the web, so you can access your notes anywhere. Find what you need quickly with the search function. Evernote Basic offers all of the above features, with 60 MB of new uploads per month, syncing across two devices, the ability to share notes with others, and a passcode lock feature for the mobile app. For $49.99/year, Evernote Plus offers additional benefits: 1GB of new uploads a month, syncing to unlimited devices, offline access, email customer support, and the ability to forward emails into Evernote. Evernote Premium is a little more pricey at $89.99/year, but offers all of the above features plus 10GB of new uploads a month, live chat customer support, and the ability to annotate PDFs, create presentations, and scan/digitise business cards. Social media is pretty much a vital tool for every freelancer and small business today. It's an ideal way to market your services and find new clients. However, many freelancers might feel like there just isn't time to manage social media platforms on top of all your actual freelance work. But never fear: that's where a social media management tool like Buffer comes in! Schedule posts to be published on Facebook, Instagram, Twitter, Pinterest, LinkedIn and Google+. Choose a particular time for posts to be published, or allow Buffer to distribute them automatically. Manage all your social media accounts from a single dashboard. Buffer offers a free individual plan, which allows you to utilise one account on each platform mentioned above (besides Pinterest, which is only included in paid plans). However, you can only have 10 scheduled posts stored at a time for each account. Buffer's paid individual plan is $10/month. It includes Pinterest, allows you to manage 10 total accounts, and supports up to 100 scheduled posts per account. There's a free seven-day trial for the paid plan, so you might want to give it a try if you think the free plan might not cut it for you. With these handy apps in your toolkit, you'll be the most organised freelancer around in no time! What are your favourite organisational tools for freelance writers? Share them with us in the comments!